Clip Clop or Flip Flop? Its been a beautiful summer and I’ve really loved the trend of Unicorns and Mermaids this season. The pineapples and flamingos trend was a tough one to beat. With its bright retro colours and funky summer vibes I wasn’t sure how a unicorn could match that. There is no doubt about it though, Unicorns and Mermaids are the new must have and are definitely not just for children. With the introduction of soft lilacs and pink shimmers these two mystical creatures have really brought something new to accessory design. Whichever you prefer our new prints our enough to make your mouth water. With mint greens, plum purples and cotton pinks there is something for everyone. As the nights draw in and there is a chill in the air, we welcome our exclusive Autumn prints collection. The new collection is inspired by the beautiful colours of Autumn, as the trees lose their leaves and parks change to rich shades of reds and yellows. From black stars to rainy days, our novelty prints are inspired by this cosy season. We hope you love them as much as we do. The summer holidays are now well underway. Here is our collection of bright and tropical back to school accessories to carry on the fun when it is time to head back to the classroom. Our plastic lunch boxes are available in a range of fun designs to help keep your food safe on your travels. Don’t forget your bag, complete with a coin purse for dinner money. Our tote bags and oil cloth purses are great little accessories for school. Our yellow daisy, pink hearts and multicoloured retro prints are available in a range of gadget cases and covers, as well as important pencil cases. A selection of gadget cases and covers from our back to school range. Its seems you can’t avoid the invasion of retro pineapples and pink flamingoes this summer. This fun trend is a welcome change and a great way to invite in those summer months. Pink Flamingo Phone Sock – available in a range of sizes for all popular models. When we think of sunshine we think tropical beaches and cocktails and that is exactly the inspiration of our new range. The 1970’s were all about bold and fun prints, bright colours and in your face wallpaper. We are so happy it is back, and although we perhaps wouldn’t consider some of the decor of this period the pineapples are certainly welcome. Our new collection has taken the best of this retro style, added a hint of flamingo and a dash of colour to create the best summer collection yet. With five beautiful prints to choose from including pink flamingos and blue retro daisy there is something for everyone. Available in a range of travel and holiday accessories including tablet bags, phone socks and passport wallets, not only our our prints summer inspired but they are perfect for your holidays too. Travel Accessory Gift Sets – Comprising of matching passport wallet and suitcase tag. We hope you love our summer retro collection as much as we do. Check out our website for lots more information and pretty pics of this range. The sun is shining and the birds are singing, for most of us Spring is well and truly on its way. I was excited this week that finally, the spring bulbs I lovingly planted in the cold months last year have finally started to flower. It is, without a doubt for me the best time of the year. Soft glasses cases in a spring collection prints. It feels like a lifetime ago I was sat in our HQ, heating on full blast with the rain lashing on our windows. Its hard to draw inspiration for a season which is 6 months away. Stuck in the cold dark depths of winter it was time to choose the prints for spring. Kindle or Kobo cases available in a range of sizes for all popular models. So how do we choose? Is there going to be a trend for this season? A popular colour maybe? Its hard to vision. So we took it back to basics. What is Spring about? For me when people say Spring I think of tiny flowers blooming, bright and fresh colours. The sun finally starts to shine again and everything is just that bit more fresher. Not forgetting the baby animals lucky country people will experience. Foxes, birds, bunnies….Spring is the season of new life and we hope our new collection has captured all of these elements. Our new collection consists of Ditsy Flowers, English Roses, Woodland Walk and Pink Flamingo Prints. These all available in our range of accessories and we hope you love them as much as we do. We have also added new gift wrapping options with new paper designs in floral and butterflies prints. It is hard to remember a time when we managed without a touchscreen mobile phone. For some the thought of a phone the size of a brick with only numbers to use for both calling and texting is difficult to imagine. Predictive text was more trouble than it was worth and so you would find yourself tapping four times on the number 7 just to get the letter S, 10 minutes later and a text message is ready to send. Ah those were the days…yes it was quicker and easier to just call the person but it was the novelty of it. Ping and you get a text message, a private little note just for you. And what do you do whilst you are waiting for your lovely little messages? 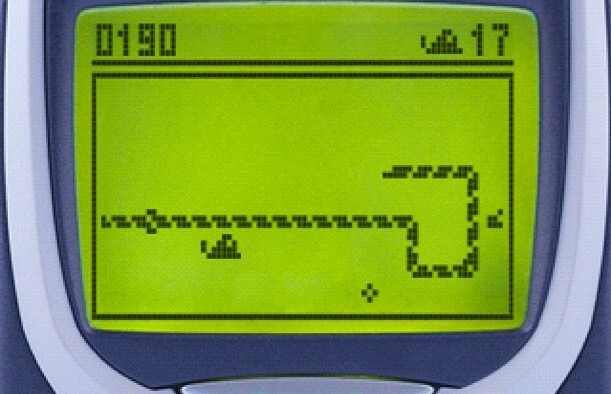 Play snake of course. I blame my mobile phone for failing a basic English exam. I seemed to develop a whole new language and replace the word you for U and to for 2. Great would change to gr8 and so on…texting was such a big part of my everyday life that I seemed to 4get how 2 write properly. Ahhhhh, there is no doubt about it, our fond phone memories are a thing of distant past. With the fast paced developments in technology it is truly difficult to keep up. And for those who don’t want to keep up it is impossible to avoid. In a world where there is now such a thing as “data” and “apps” it feels there is little point in having a mobile unless you can have access to these. My mum clinged onto her ever faithful blackberry (perhaps the last non-touch screen modern phone left) until she could avoid it no more. It was time to renew her contract and what was the best deal? – an iPhone 6s. Once you go iPhone is is hard to go back. The whole world is at your finger tips – Facebook, Twitter, games, internet, maps, music, the weather…the list is endless. I’m not going to lie, as much as I loved my ever so faithful pretty Nokia (yes it was pretty as you could change the front covers to match you mood), there is no way I would go back. But then one day tragedy struck. My iPhone (my world), a phone which had surprisingly withstood being dropped in soup, getting caught in horrific rain and countless little mishaps here and there, got broken. A careless slip through the fingers and it smashed. I’d heard of such horror stories but never thought it would happen to me. Could it happen? The amount of near misses my iPhone had had, I really thought mine must of been from a little miracle batch. But no like a cat, it lost its 9 lives, and didn’t just crack a little, it epically smashed to bits. RIP my trusty little friend. You may remember having fun Nokia attachments for your old brick phone too…We were inspired by how fun phones used to look (as well as be), and have introduced a novelty range of phone socks to protect and brighten up your trusty mobile phone. Complete with a Velcro dot top fasten to keep your phone safe and snug whilst on your travels, but still allowing easy access when you need to grab your phone quickly. The perfect way to give your phone personality and a safe home…and with many unique designs to choose from, our bright and fun prints will also help you find your mobile phone in a hurry. Love it or loath it, Halloween is vastly approaching and nowadays is becoming increasingly difficult to not notice (*avoid). For those easily spooked it is the perfect excuse to stay snuggled up on the sofa, cup of tea (or wine) in hand and a Disney movie on standby. But its not all ghosts, vampires and clowns. We wanted to inject a bit of colour and style into Halloween. We love bright colours, stylish goodies and non cheesy accessories, so this task did not come easily. But here we have it….the best bright, beautiful and fun Halloween inspired bits and bobs to brighten up this spooky month. Our Mexican day of the dead skull print is a new print launched in our kindle case accessories. Available in three colour ways and in a range of sizes for all new and old Kindle models. And last but not least the second dress of the Silly Old Sea Dog Halloween collection is this fun and batty (see what we did there), bat print dress. It doesn’t glow in the dark like the pumpkins but it is fun non the less and doesn’t just need to be for Halloween..
From beautiful peacock feathers to gorgeous furry leopards, there is no doubt about it, nature is the top designer of this world. We have therefore put together a collection of amazing animal print inspired accessories (made from cotton fabric of course) to celebrate this amazing world we live in. As a proud sponsor of many animal charities we felt it important to celebrate the beautiful coats of this world and show that this lovely zig zags, spots and stripes can be enjoyed without the shameful hunting and killing of the lovely creatures that made them. All of our UK designed accessories have been made out of cotton poplin fabric (also available to buy for your own craft projects). So after much pondering you have finally decided to take the plunge. It is time to ditch the beloved books and move to the modern world of E-readers. A bold move for most, there is nothing like the feeling of a new book in your mits, the sharp and crispy pages awaiting to be turned and folded. Or perhaps your an old book lover. That old musty smell, a book which has a story in its own right. The turn of a page only to discover a old stain, a little reminder that you aren’t the first reader. There is no doubt about it, whether new or old you just can’t replace the feeling of holding a good book. But they take up too much room. Why take 3 books on holiday when you can squeeze in 3 extra pairs of shoes instead. Plus what if 3 books aren’t enough? Are there many English book shops in Spain? Book shops are becoming a rarity on the high street in England never mind overseas. At a touch, click and the use of a credit card, my new ereader gives me access the a world of books you can only dream of. But there are so many – which one do you need? But which is my Kindle? We entered the scary world of making Kindle covers just over a year ago and boy did we have a lot of catching up to do. Not only over the years have Kindle been tirelessly launching new models, but with each model comes many different generations. Not to mention the variety offered in different countries. Do a google search of all of the kindles available and the results are scary. We still discover new models all of the time. A customer with an ancient Kindle 2 is looking for a wallet. A New Kindle 10 gets launched with new specifications. Its a full time job with which we have now become somewhat of Kindle experts. We know from our sales data that the most common model currently for the UK is the Kindle Paperwhite. It seems customers who are looking for a simple ereader without it being a laptop or tablet, something which you can just read a book on, the Paperwhite can not be beaten. We can also make covers in bespoke sizes and fabrics. Now all that is left to do is find the print you like. Visit our website for a selection cute and fun designs.